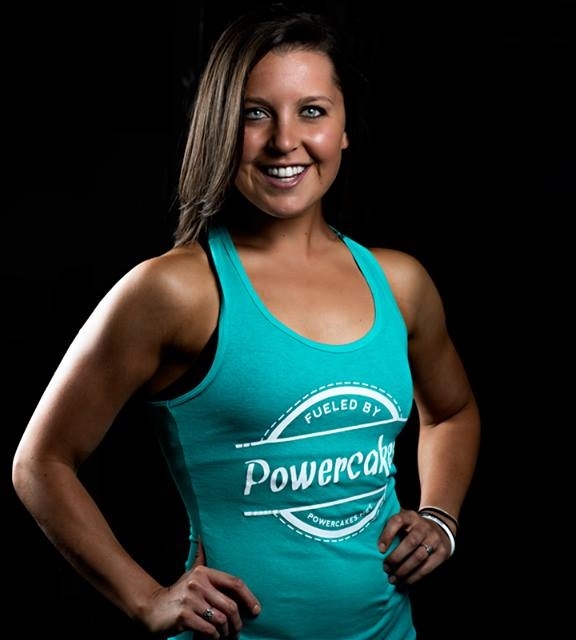 Meet Kasey Arena from Powercakes Blog! One thing I love is seeing smart health-minded motivated woman sharing their passion to inspire others to live a balanced healthy lifestyle! I have followed Kasey Arena's blog Powercakes for several years now and she does just that! I have always enjoyed her fun recipes, colorful food filled plates, and her awesome challenges like the #JunePowerMealaDay challenge I participated in June 2012! Kasey is bursting at the seams with positivity and motivation and I am honored to interview her on the blog today! I think many of you already know this lovely lady but incase you don't, I am pleased to introduce you to Kasey of Powercakes!! I grew up with a mother as a personal trainer so I did have healthy options all around me. I am so happy to be following in my Mom’s footsteps since she laid such a great foundation & example from a young age. It wasn't always something that I appreciated whenever I was younger because I often threw temper tantrums in the cereal aisle whenever I wanted sugary cereal, but I did have a great healthy balance as a child & loved my childhood! We were not deprived at all but we grew up being educated on making healthier choices while still living in balance. Fitness was something that I've always had inside of me. I played soccer since I was 8 years old until my college days & also ran track & was a triple jumper from junior high into college. I love competing & challenging myself! It’s an adrenaline rush like no other. Once I wasn't a part of a sports team anymore, I really did fall in love with weight lifting & working out. In college one of my best friends got me into strength training. I used to run right by all of the weights & go to my usual elliptical for an hour because I was afraid of all of the boys in the weight area – no lie! Once I started training with my friend and seeing how confident she was while asking guys twice her size to use weights they were using, I was instantly inspired! 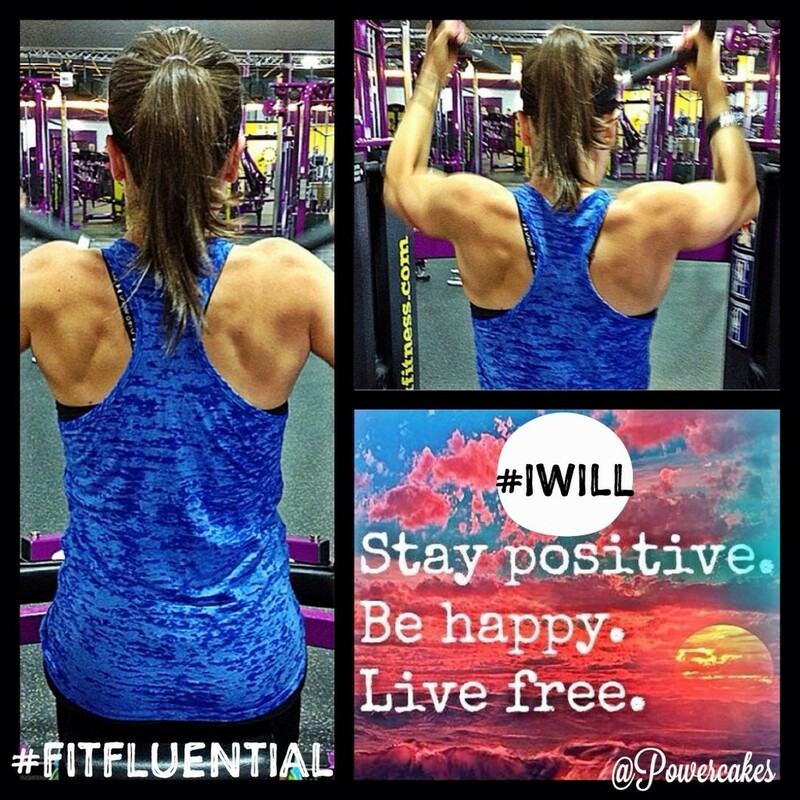 Her passion was contagious & I soon caught the weight lifting bug and haven’t stopped since! Right now I've really come to find a happier balance with eating. If you’d like to read a little more into my personal story about “checking myself before wrecking myself” you can find that here. I personally have struggled with food allergies for years with symptoms ranging from stomach issues, digestive problems, & sever eczema on my hands. For years we never really correlated these problems with the foods I was eating. I’m a fan of eating foods closest to “whole” as possible but also enjoy other foods in moderation! I truly do believe in balance and not living under food rules. I was eating a lot of foods such as “whole grain” when I came to find that I had a gluten intolerance. I also dealt with horrible skin eczema which is irritated red bumps & dry skin that covered my right hand. After getting professional help and a food allergy test I found that I was allergic to almonds. I can eat them in moderation, same with gluten, but whenever I “over-do” these foods, my body reacts. With that being said, my big motto is “be true to you”. I really don’t have a certain way of eating because I listen to how my body reacts. I like all types of foods & have found that the more variety I eat, the better my body reacts. I have a huge passion for cooking & baking so that’s where a lot of my recipes come from. I also make sure to fuel my body with enough food such a proteins, carbs, fats, minerals, vitamins, & fiber to fuel my fitness & lifestyle! I am a personal trainer so I am always on the go! With all of that being said, my usual day of eats starts with a big breakfast of powercakes (protein pancakes of all types) or waffles topped with peanut fluff & fruit with some coffee with coconut milk & liquid stevia. Lunch is usually my post workout meal so it’s usually a big scramble with millet & flax bread topped with hummus or avocado with raw kraut & some baked old bay kale chips! I LOVE me some seasonings! I always have a snack before bed and usually choose something like a single serve cherry chunk cookie or FRONANA. Nut butter is ALWAYS involved in my night time snack as well & my chocolate sauce. I really don’t fear carbs at night & find that I am always energized in the morning for a workout from fuel the night before. Definitely find what works best for you though! As you can see, I do eat a lot of colors & whole foods, but I also enjoy all types of flavors & will not turn down “unhealthy foods” if it’s something I truly want! Finding balance is hard but it’s something I work towards every day. Some of my favorite go to snacks are fruit, puffins cereal (obsessed), brown rice crackers, veggies, hummus, or anything I’m craving that day! I love your hashtag #beTRUEtoYOU! Can you tell us what being true to you is all about? Be true to you” is my mantra all day every day. I think in the fitness world, and the world in general, we often compare ourselves to other people. We see pictures and want to look like someone else and think we’re less than if we don’t. We also look at other peoples eating choices and think we’re doing something wrong if we don’t’ eat like them. I work really hard to help people accept themselves for who they are and OWN IT. Looking to other people for inspiration & motivation instead of comparing themselves to that person. It’s hard and I understand that, but finding love with fitness & food starts with finding love with yourself. You taking the steps to get healthier is really you loving yourself more to want to take care of yourself. Be true to you & find what it is you like to do! The more you enjoy your fitness, the more you will want to do it. I work to live by this motto everyday. I don’t try and sway my decisions with fitness and food based on trying to be like someone else, but instead I get inspired by others to try new things or eat a new food! Finding enjoyment is what I aim to do in life. What is your favorite style of workout? What is your best tip for someone who is just getting started with a new exercise routine and healthy eating plan? My favorite types of working out are lifting & circuit style training. I love challenging myself in the weight room but also doing some plyos or burpees! I really love all types of fitness. You can find some of my workouts here. Negative thinking is what holds us back most often. It’s that voice inside our head that’s saying “I can't” or “it’s too hard”. Unless you've got an injury that is holding you back from a certain move, you never know if you can something until you try! Same goes for eating – it never hurts to try something new or test out a new recipe! I love getting inspired by others to use an ingredient in a whole new way! I love the positive end of social media where people encourage others to try new things or help each other out with tips on new recipes. Small steps in a more positive direction will eventually lead to accomplishments! I absolutely love your blog PowerCakes and love all of your healthy recipes! Can you tell us what exciting things you are up to now and what we can expect to see in the near future? Thank you so much! It means a lot to have such amazing support from others. I am currently personal training & working on following my dreams with creating my own Powercakes Product. I now offer tank tops on my site but there will eventually be a food product added in! I've been working really hard for the last year & a half with the small business developing center at the University of Pittsburgh. They are helping me make my goals a reality and it’s such an exciting process! It’s scary sometimes to follow your dreams but usually that fear means you’ve got to do it! It definitely takes longer than I originally expected but I'm hopeful that all of the hard work & hours put in will work out in the long run! I know in my gut that I am meant to share my visions to help others & I work towards that every single day with the help & support from everyone! If you want to hear more from Kasey, you can also check her out on YouTube, Instagram, Facebook and Twitter!